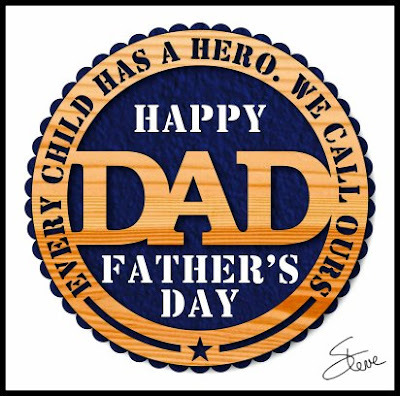 This is a project that you and your siblings can give to dad on Father's Day. Let him know he is your hero. 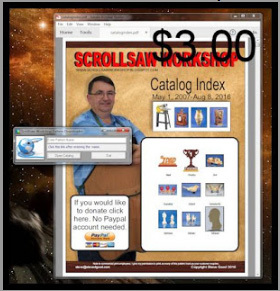 The latest update of the $3 PDF catalog is now available. This is version 14. The $3 PDF catalog has been updated with the latest patterns through June 3, 2018. If you have purchased this accessory catalog then you can use the Pattern Downloader software to download the latest version. Just start the program and click the check for updates link. If you are using the MAC or other versions that do not use the Downloader software then use the link you bookmarked when you purchased the catalog to check for updates. You can also check for the update on the online pattern downloader page if you use that feature. For those of you not familiar with the $3 PDF catalog accessory here is what it is. This is simply a large PDF with thumbnails of all my patterns. This makes it easy to browse through the thousands of patterns very easily. You can then use the downloader to type the name of the pattern and have it downloaded to your computer or device for printing. Here is a link to the order page. The page has a video showing how it works. Earlier in the week, I mentioned that I sometimes use the iPad Pro and Apple pencil to create portrait style scroll saw patterns. I had a few requests to show how this is done. I put together a video demonstrations of the technique. The video is about ten minutes and will probably give you enough information to use the technique. It is not a complete tutorial. That would just take too much time. I am not recommending that you buy an iPad and Apple pencil to create these patterns. That is a pretty expensive setup. 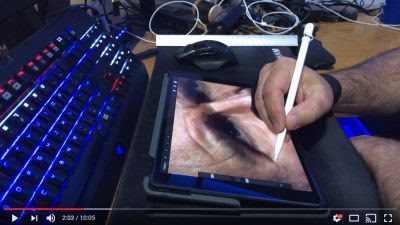 If you have a new iPad or iPad pro that is compatible with the Apple pencil then you may find this useful. Amazon price $399 without the stand. 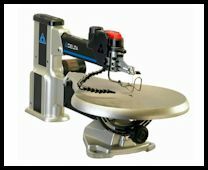 This is a great price for a mid-level scroll saw. I still believe this is the best bang for the buck in the market. I'm not saying it's the best machine but you get a lot for your money.